As our Gary medical malpractice lawyers can explain, these cases are not held to the same standards of proof as general negligence cases. Jurors will be asked whether the doctor breached the applicable standard of care for his or her specialty. That means an expert witness with the same education and training must testify to this, asserting that a reasonably prudent doctor in the same situation would have acted differently. Any other form of evidence allowable. The review panel in this case was comprised of orthopedic physicians from around Indiana, and they concluded more conservative treatment options – such as steroid injections – should have been taken first before surgery. The defendant’s lawyer argued that just because other doctors would have made a different decision doesn’t necessarily mean it was medical malpractice. Furthermore, he alleged the family chose surgery because they wanted their son to return to sports as soon as possible, and they were aware of the possible risks of surgery. Their son also reportedly had scar tissue from other injuries that could have been the culprit for his pain. Although $744,000 sounds like a lot, it should be noted the maximum amount one can receive under Indiana’s medical malpractice damages cap is $1.65 million.One of the lowest damages caps in the nation, that’s still up from $1.25 million, which was the damages cap for 10 years prior to 2015. Doctors are only responsible for the first $250,000 in damages, with a limit of no more than $750,000 annually. The difference between that and the damages cap limit is paid for by the Indiana Patient Compensation Fund. In this case, the family asked for $10,000 per year for what would be the remainder of the teen’s expectant life span, which would be 62 years. Jurors awarded him $12,000 annually. 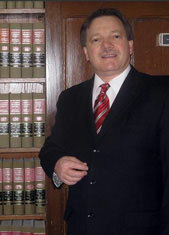 Indiana Medical Malpractice Attorney Burton A. Padove handles personal injury claims throughout northern Indiana, including Highland, Gary and Hammond. Call Toll Free 877-446-5294.